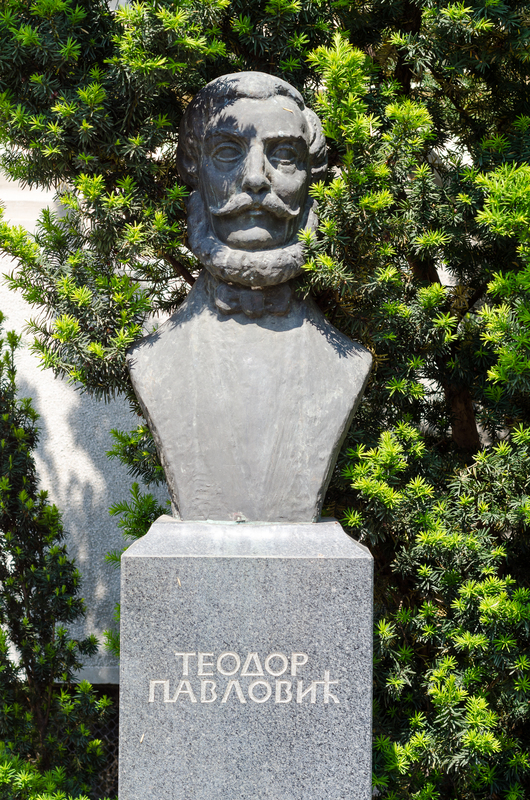 The bust of Teodor Pavlovic is located in front of Matica Srpska, made in bronze. For a special reason, this bust is also among other great persons in front of the Matica Srpska. Teodor Pavlovic (1804-1854) was a journalist, writer and publicist etched in Serbian history as a reformer of the Matica. He was the editor and later a secretary in that institution. One of the founders of the Tekelianum, libraries and galleries of the Matica. For a time he was also the editor of the “Letopis” published by the Matica and he published also two magazines called “Srbski narodni list” and “Srpske narodne novine”. Due to the exceptional contribution to journalistic work and research, our scientists consider him the founder of journalism.